The Assassin's Creed series is getting a little leaky in its old age. 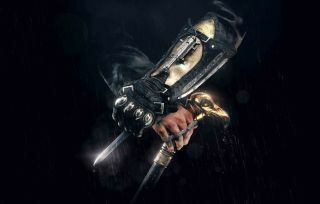 Based on information spilled over the last few months, we're pretty sure the next game is called Assassin's Creed: Syndicate, that it will be set in Victorian London, and that it will feature two playable characters—a brother and sister. To find out if that's all true, just watch the announcement livestream that's embedded below. It's due to start at 5pm BST, or 15 minutes from when this post is published. If you're coming to us from the far future, you can watch the full thing as a VOD. While you wait, why not take a look through our suggestions of what a London-based AssCreed absolutely must and must not do?